January 21, 2019 (Last Updated: March 5, 2019) - As an Amazon Associate I earn from qualifying purchases. Tacos are tasty, but they also have an interesting history that tells a world story. Soon, as a part of our taco series, we will give some great taco and taco related recipes, but today we talk history. The taco has a storied past that really goes back almost as far back as the civilization of man. So follow along and learn some interesting facts about the taco. Before we get too far into our history of the taco, let us take moment to define what a taco is. A taco is a fried tortilla that has a filling. It is that simple. Usually, there are spices involved in the filling, but it can just be meat, beans, or veggies. Tortillas originally were corn, but when Europeans began conquering the New World, they brought domestic wheat with them. Like so many food traditions, the flour tortilla became part of the lexicon of tacos. Is Salsa Needed to Be Considered A Taco? While salsa has sort of become the standard of the taco, it is not necessary for a taco to be a taco. What is important is that it is some sort of filling wrapped in a tortilla. Is Cheese Needed to Be Considered A Taco? Nope. Cheese is awesome and I like them on my tacos, as do many, but it is not necessary. A taco, in it’s barest form, is a filling wrapped in a tortilla. One of the first series we did was the enchilada and I found myself asking what the difference between the two are. Both have tortillas and a filling. An enchilada, however, will always have a sauce. The origin of the word enchilada is related to chili sauce. Also, enchiladas are baked with all ingredients in one dish. 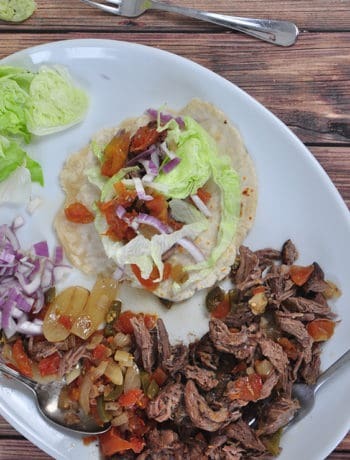 Tacos are not baked and most of the ingredients are cooked separately and then assembled. Tacos have come a long way, baby. 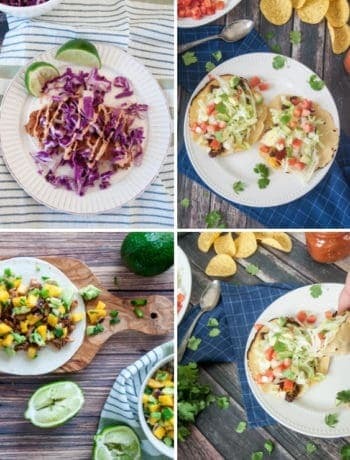 From ancient cooking techniques to instant tacos at your local Taco Bell, there is a common history, but it is worth separating into eras. We have the emergence of the taco and Mexican food in general. Then, we have the adaptation into modern American life and the proliferation of the taco into countless fast food places and taco stands. The staple ingredient in a traditional taco is corn and to look at the history of the taco, we must look at the history of corn. There is evidence that corn produced for agricultural purposes as far back as 9000 years ago in Mexico. Now, it may have not been first used as a tortilla, the evidence suggests they were milling corn 9000 years ago. Somewhere between 9000 years ago and when the Western world reached South America, tortillas started being produced and they started wrapping stuff in it. Putting things in tortillas makes sense, right? I mean, it eliminates the need for eating utensils and it becomes portable food. As soon as ancient Mexicans started making tortillas, I suspect they started putting stuff in them. What Were They Putting In Tacos? Cows and pigs were not native to North America and not brought over for domestication until Europeans started that process. So, before the 1500s, what did they put in tacos? Anything that was available, I suppose. According to this website, Aztecs (early Mexicans) primarily ate corn and beans, but occasionally would eat meats like fish, rabbit, dog, turkey, and iguana. Most of what we eat in tacos today would not be authentic to early Mexican history. Corn Makes a worldwide debut and Taco Documentation. Bernal Díaz del Castillo was a Spanish conquistador and wrote about feasts put on by Hernán Cortés, another conquistador. This happened in the 1500s in the New World, where fish were served and wrapped in corn tortillas. This is the first written documentation in the Western world of what we would describe as a taco today. Nixtamalization is the process of preparing maize, or corn, by soaking it and cooking it in an alkaline solution. Traditionally in Mexico, this would be lime water and sometimes wood ash lye in North America. The purpose is to make the nutrients of corn more digestible. It is important in corn-based diets, as without nixtamalization, people find themselves with Vitamin B deficiencies and a sometimes fatal disease called Pellagra. It is important to mention this in the history of the tortilla and corn, as NOT using this process was a fatal flaw that Europeans proliferated around the world. Corn caught on very quickly, but nixtamalization was not seen as a needed process. Turns out, it was. Pellagra epidemics were recorded in many parts of Europe and Africa until they figured this out. Even though people have been eating tacos for a very long time, the word ‘taco’ is quite a bit newer. According to some sources, the word taco derives from the word “plug” and was used in silver mines to refer to small explosives in the mine. At the same time, tacos were being served to the miner. The theory is that the word transitioned from the mining logistics to the lunchtime special and stuck. At some point, the taco moved from being a Mexican and South American specialty to being on the corner of streets in almost every American city. How did this happen? It shouldn’t be a shock to anybody that Mexico borders America and there is a long, rich heritage of Hispanic Americans, Mexican Americans, and a mutual culture of the American southwest. It should also be no shocker that Mexicans started working in southern parts of what is now the American southwest and brought along the food with them. In his book, Planet Taco: A Global History of Mexican Food, Jeffery M. Pilcher indicates that the first mention in US newspapers was in 1905. He also discusses the Mexican immigrants in the US. After the first generation of immigrants, the second became more assimilated into US culture but still ate Mexican food. As these Mexican Americans started to share culture with the America around them, foods started adapting to each other. The things we see on a typical American taco today, like iceberg lettuce, tomatoes, and cheese were commonplace in the American culinary lexicon. And while ground beef is the standard today for a taco, Cows are not native to North America and only brought over with the Spanish Conquistadors. The proliferation of western eating habits and Mexican traditions collided into ground beef and 1950s salads. We cannot talk about the modern taco without discussing hardshell vs softshell tacos. Traditionally, the tortilla for a taco was soft, but today the hard shell seems to be the standard rather than the exception. Hardshell tacos were not the norm prior to the 20th century. Pilcher talks about hardshell cooking techniques being described in the 1940s and even though the creator of Taco Bell claims that he invented the hardshell taco, there is evidence that shows otherwise. No matter what, the hardshell taco was primarily a product of the mid 20th century and really coincided with the advent and popularization of fast food. Even though Taco Bell founder, Glen Bell, may not be the inventor of the hardshell, I think it is safe to say that Taco Bell helped proliferate Mexican food across the united states. Interestingly, Bell first started selling Hot Dogs and Hamburgers in the same city and time as the first McDonalds. Bell’s business morphed into what he named Taco Bell and he first opened doors under that name in 1962. Within five years they opened 100 restaurants and today they are at over 7000 restaurants worldwide! Taco Bell far from invented Mexican food and it is a reflection of our fast food culture. They definitely helped proliferate Mexican food across the world. I am almost certain it was my first exposure to the cuisine and I am not gonna lie… Taco Bell is a guilty pleasure. I think it is hard to find a food item that has a history going back 9000 years that has as much popularity today as the taco. The taco deserves it, as they are absolutely delicious. From authentic tacos at your local Mexican spot to your Taco Bell tacos, it is hard to deny these delicious little tidbits of history. 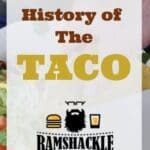 If you enjoyed my history of the taco, let me know! 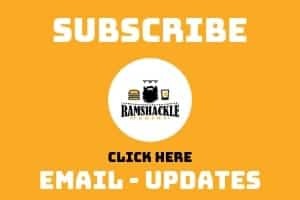 Thank you for joining me and don’t forget to subscribe to our emails to get the latest and follow me on Instagram! Thanks for the interesting info. I recently had a seven-course, pre-Colombian tasting at Topolabampo. All the dishes used ingredients native to Mexico before the arrival of Westerners – and it was amazing. It leaves me with lots of ideas about what ancient people might have tacoed. It’s so curious about nixtamalization … like, how would a primitive people figure that out? Or is it just circumstantial? I haven’t had a hard-shell taco in decades! I do remember liking them as a kid, though.